While most Croatian coast localities start their tourist season in summer, Losinj Island becomes vivid even in early spring. Often named ‘Island of Vitality’, it attracts visitors with comfortable climate, rich vegetation and sunny weather. 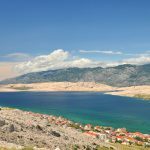 As a matter of fact, it was calculated that Losinj has about 200 days of sun during the year, meaning its outdoors are almost always available to locals and tourists. 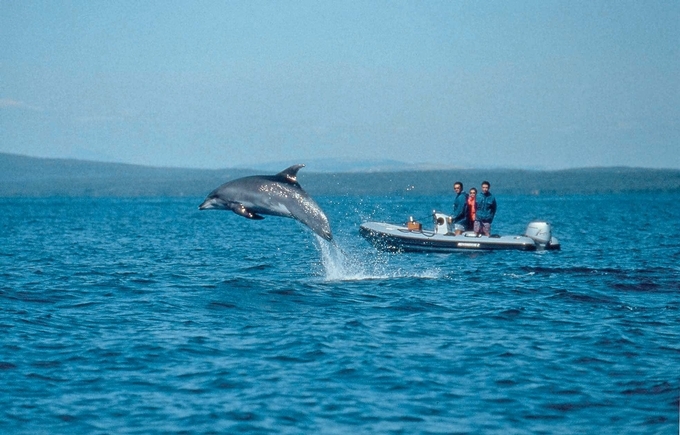 Numerous cultural events are also a reason to visit Losinj Island. From annual bicycle races of international scope to several celebrations that promote cuisine, the destination is quite rich in content one can attend. Spring also brings Muaj, an ancient festivity dedicated to youth and new life, as well as chess tournament that gathers many avid contesters. Finally, Losinj has its own folklore festival that welcomes guests from several European countries, and is usually organized in late May. Speaking of food, the offer is truly amazing and diverse. Don’t leave the island shores without trying specialties such as lamb soup with home-made pasta and meat or noodles covered with sauce of wild asparagus and sheep cheese. Lamb chops coupled with fried almonds and mint is also a valid choice and will certainly fulfill all your dining expectations. 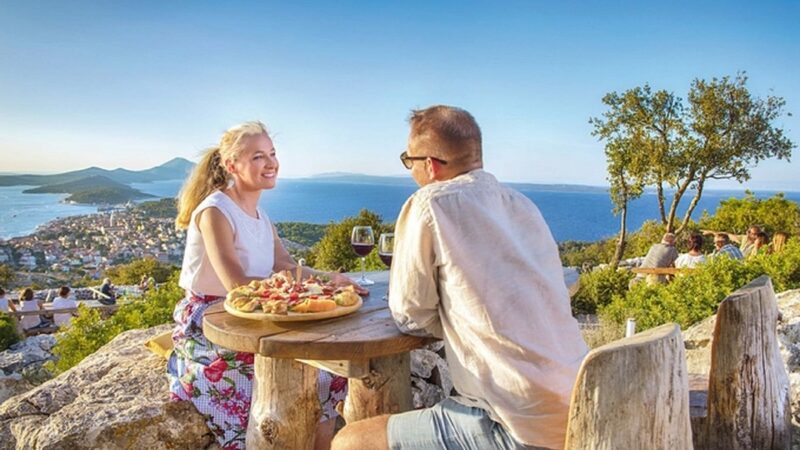 Each meal should be accompanied with a glass of wine, a product of picturesque vineyards that can be found on Losinj Island. The accommodation is not an issue. The island used to be one of the favorite spots to Austro-Hungarian nobility in past, and has a long tradition of providing hospitality. 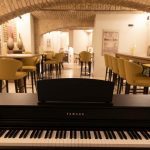 In one of their most attractive mansions, a family hotel called Vila Conte has been opened, featuring 15 rooms, an outdoor pool and exclusive restaurant called Olive tree. The Valley of Cikat is where luxurious resort Bellevue has been situated, together with boutique hotel Alhambra. More classy accommodations are being build and will be available in close future. If you can’t have a decent vacation without furry company, you will be glad to know that Losinj has ten beaches that are pet-friendly. 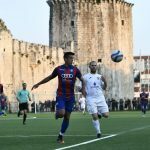 In case you are a traveler that values history and culture, the island lacks none and will provide you with unique opportunities. Numerous churches, monasteries, renaissance buildings and remains of antique structures can be found on Losinj premises. The small palace Fritzi in the settlement of Mali Losinj holds impressive gallery of Croatian artists, while a large fortification from 15th century bears witness to local naval expertise. However, the biggest cultural trait of Losinj Island is Croatian Apoxyomenos, a gorgeous bronze statue of Greek athlete that has been discovered in 1996. Submerged below the waves of Adriatic Sea for untold centuries, this large figurine is the best preserved of its kind in the world. You may observe Apoxyomenos in its very own museum that became an important landmark to Island. Having installations of interactive nature, it can be a perfect spot for family visit. 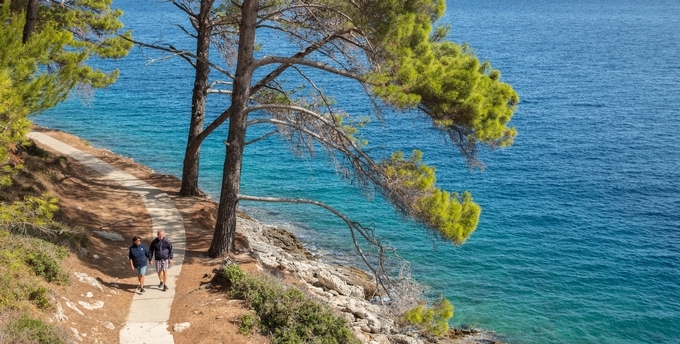 Losinj features excellent traffic connections and reaching its pleasant soil is relatively easy. 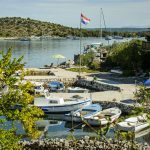 During the entire year, a ferry ride bonds it with Pula, Unije, Susak, Ilovik, Silba and Zadar. Speaking of aerial options, direct travel is available through Zagreb, Pula and Split airports. Losinj is also connected with German city of Köln and Lugan city of Switzerland. If you are not afraid of heights, a panoramic flight can be arranged over the island allowing you to see its beauty from bird perspective. It is very easy to fall in love with Losinj. Romantic types can count on many spots to enjoy their company, but one stands out in particular. A beautiful viewpoint called Providenca can be found on the peaks of Mali Losinj, featuring about 20 hand-made tables and benches. These are named after local ships that were part of island’s fleet in 19th century. On the way to this spot, you will walk through 300 meters of educative track which will introduce you to island past and natural life. Providenca has a bar allowing you to have a drink, while dine can be ordered in evening hours. 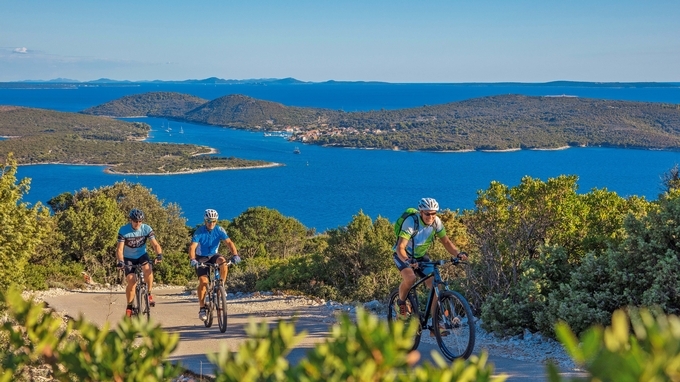 Feel welcome to arrange your arrival to Losinj and learn why it is called Island of Vitality.